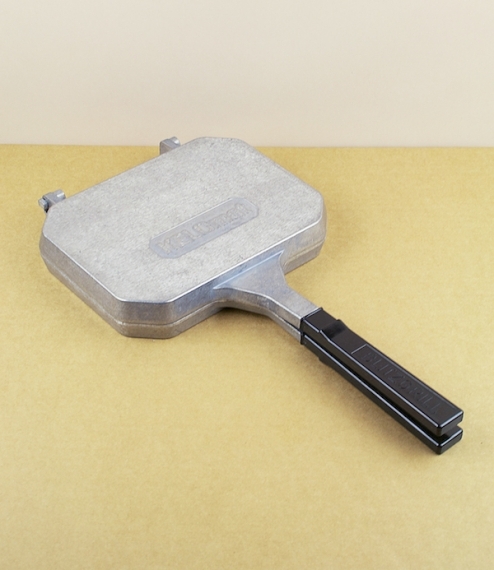 A separable (for easy cleaning) folding grill pan from Riess of Austria. Made of a specially hardened alloy. Being reversible and enclosed this results in an especially efficient and quick method of hob top grilling of meats, vegetables, or for the making of toasted sandwiches. Riess Kelomat operate from workshops powered entirely by their own hydroelectric plants, and adopt a socially responsible approach to working hours, environment, and practices - as should we all. 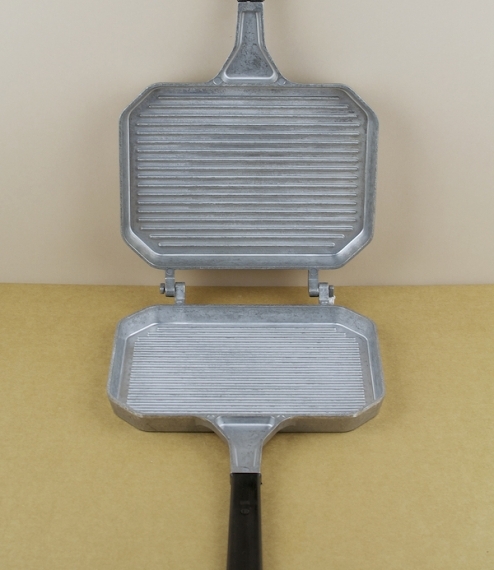 Width approximately 20cm, grill length about 15cm, total length 39cm.